On crisp winter days when the wind blows cold, warming up from the inside-out with hearty comfort foods can feel like a worthy solution. From chili to cornbread to dumplings, flavorful and filling foods prepared without an overload of ingredients certainly can provide a feel-good boost on chilly evenings. 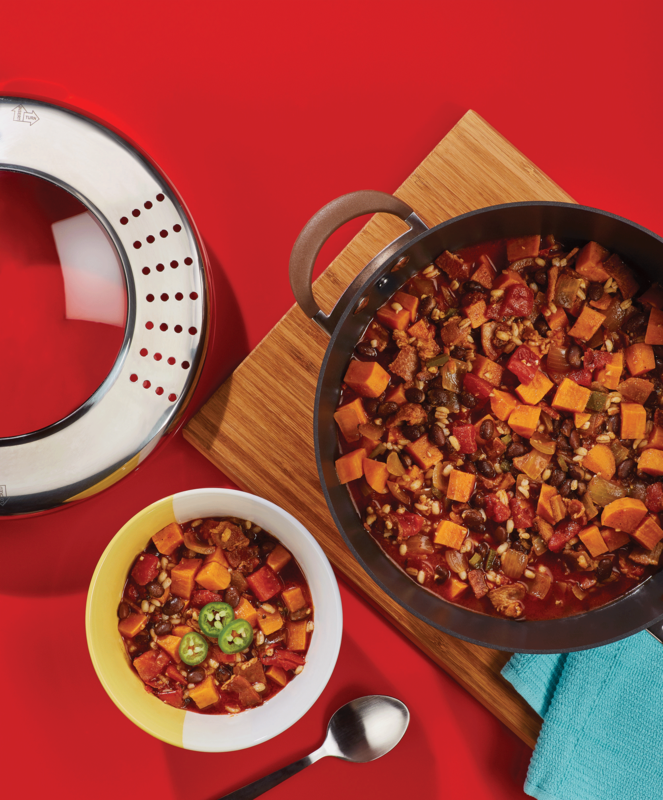 Chili, a classic wintertime favorite, can be taken to the next level with a few tasty additions. Make a spicy version by mixing in bacon, sweet potatoes and a chopped jalapeño pepper for a quick warm-up. A simple and somewhat sweet spin on a classic, comforting side, Honey-Pumpkin Cornbread pairs well with the slightly spicy chili. If you’re really looking to put the comfort in a comforting main course, this Skillet Chicken and Dumplings recipe takes less than an hour to create. Reduce bacon fat in casserole to 2 tablespoons and return to stove over medium-high heat. Add sweet potatoes, onions and jalapeño pepper; cook, stirring occasionally, until onion is slightly softened, about 5 minutes.